Last night’s third-annual Eat Your Words was full of the warmth and generosity of more than 200 guests. We ate some of the most praised cuisine and best-loved drinks our city has to offer and raised funds to support our tuition-free creative writing and publishing opportunities for youth across the city of Chicago. On behalf of our staff, board, volunteers, partner teachers, and the 2,500+ student-authors we work with each year, we want to thank everyone who helped make this event a success including: elegant emcee, Ji Suk Yi; musical guests, the Chicago Children’s Choir; auctioneer extraordinaire, Peter Sagal; eloquent and inspiring guest speakers, Dave Eggers, Rick Bayless, chef and 826CHI student, Evan, and Esperanza; and the chefs and mixologists who proudly represented the following restaurants: The Promontory, mfk., Dos Urban Cantina, Citymouse, GTPrime, Swift & Sons, Fat Rice, Kimski, Oriole, Punch House, Broken Shaker, and Scofflaw. Their kindness directly feeds the creativity of our growing young writers. 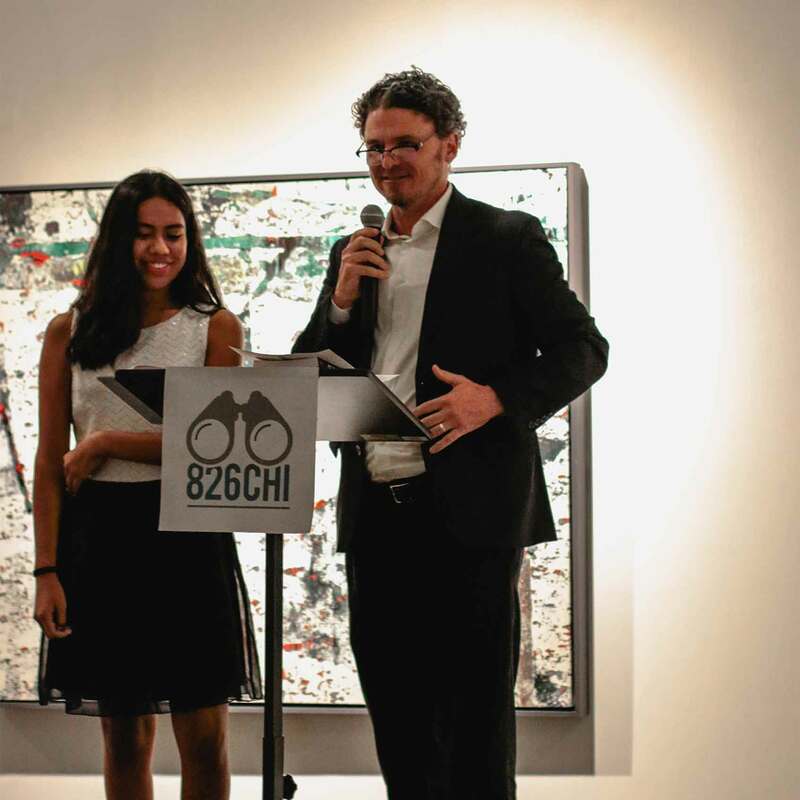 We are unendingly grateful for the support from our community and truly humbled to continue our work in supporting the creative possibilities of thousands of young Chicagoans.